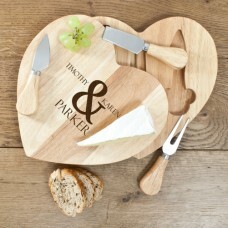 Weddings are a wonderful celebration so browse through our unique range of wedding gifts where you will find gifts for the bride and the groom as well as all of the members of the bridal party. Whether you're looking for a unique gift for the mother of the bride or a special thank you for the best man, you're sure to find the perfect gift right here at Spartium. We also have a range gifts for ushers, flowers girls and father of the bride so you can find the perfect gift as quick as you can say 'I Do'!